Don't hold us in suspense! 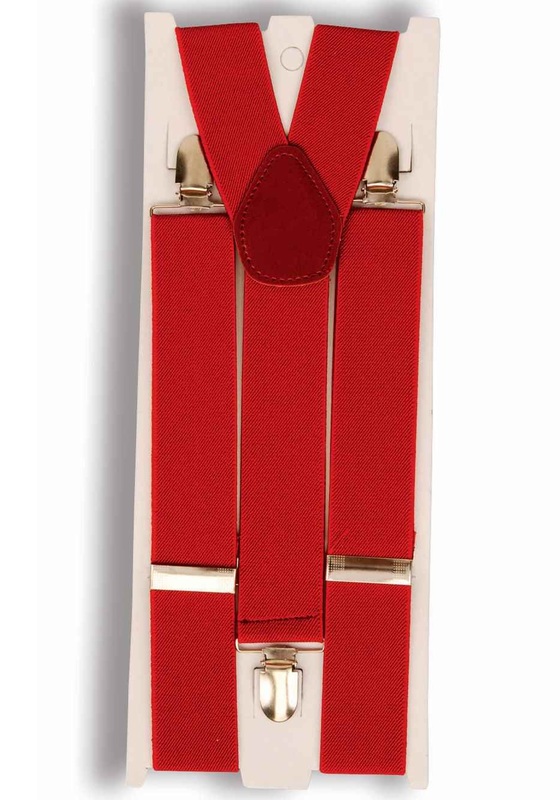 These red suspenders (see what we did there? Pretty clever huh? ... okay okay, it wasn't that clever) are the perfect way to bring suspender fashion back into... fashion. Why? Because they'll hold up over time. But seriously, suspenders are a great, under-appreciated look. Maybe you want to dress like a 1920s gangster, one of Al Capone's goons, well red suspenders would make that menacing gangster look really pop. Or maybe you want to be a clown and want something funny to snap for the kids. Then snap these! Or you've just been cast as the lead in a production of Godspell, well, these suspenders are perfect. But a costume isn't necessary to pull these off. They pull themselves off and pull together any outfit, whether you're at church, at a wedding, or at the mall! Why are you wearing suspenders at the mall? Why not! Because they look great! Great Costume add on !! !